I was at the Farmers Market earlier today and saw these gleaming Poblanos piled high. I knew just the thing to make and bought them . I made Stuffed Poblanos baked till scrumptious. Wash Basmati rice, and cook with water until done. Set aside to cool. Prepare poblanos for filling. 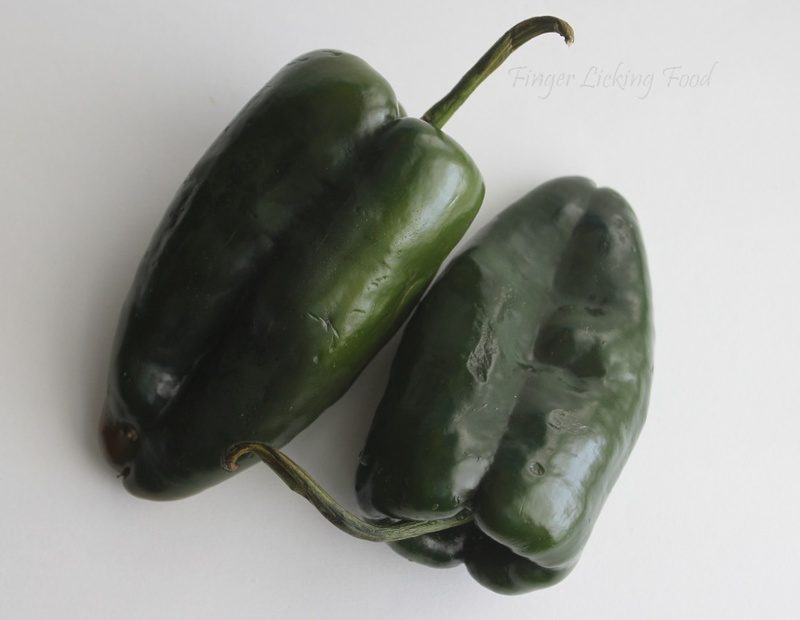 Wash and dry the poblanos with a paper towel. Cut around the stems using a paring knife and give it a little twist. The stem should come off with the seeds as shown below. 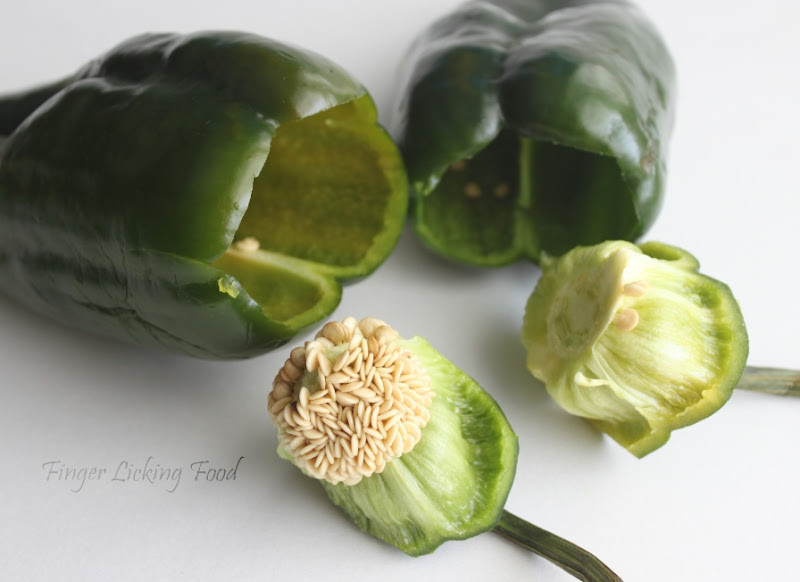 Trim the seeds and save the stems, they are the little caps for your stuffed poblanos. Heat oil in a pan. Add the cumin seeds and minced garlic and sauté for a few seconds. Then add the chopped jalapeno and black beans. Cook for a few minutes. Season with salt and pepper. Preheat oven to 350F. Line a baking sheet with foil. In a large bowl, combine the cooked cooled rice, black bean mixture, sour cream, cilantro, chopped tomatoes and the cotija cheese. Add more salt and pepper if necessary. Fill the peppers and place the stems on top. 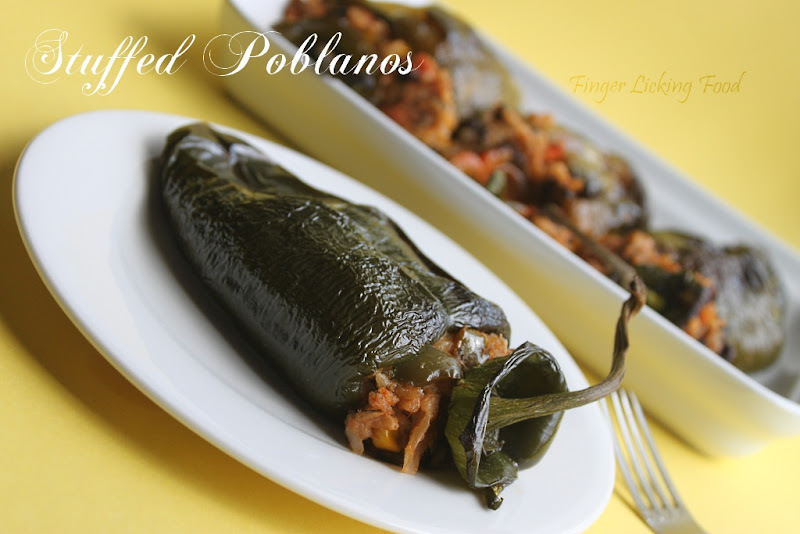 Place the four filled poblanos on the baking sheet and bake in oven for 25-30 minutes and then broil for 5 minutes. The poblanos will look blistered and wrinkly. Serve while still hot. Thats a interesting recipe...Looks tempting! 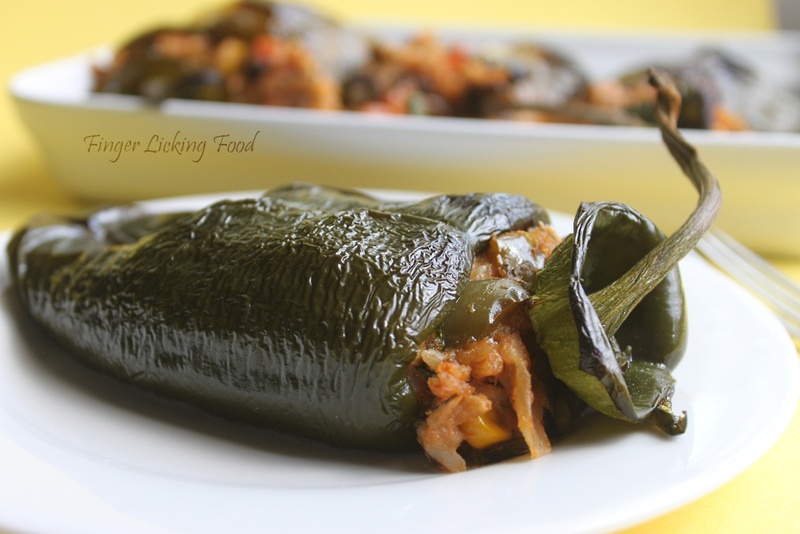 These baked, stuffed Poblanos look gorgeous :-) Great Photography! I have'nt used cotija cheese- is it fresh like mozzarella? This is so cool... Nice recipe.... YUM! I end up ordering this in all the Mexican Restaurants. Its one of my fav dish!! @ Shankari, it is more like Parmesan texture wise too, firm and dry. Do try it, adds a real Mexican touch. @ My Space, I have never had this in a restaurant, enchiladas are my favourite and order those most of the time. Maybe I'll try Poblanos this time. Wow! Looks mouthwatering. Nice click. Do check our website for the Sizzling Summer Contest. We would love to see your entry. You could also win one of our $50 cash Prize. 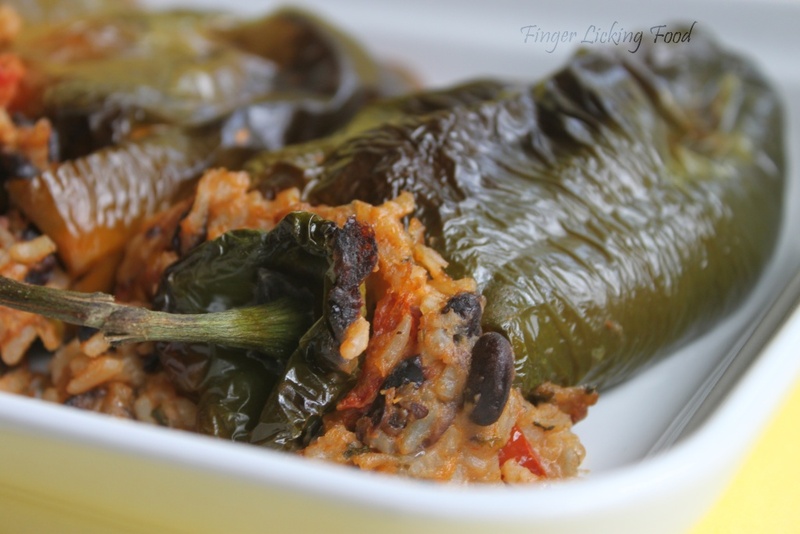 First time to ur wonderful blog...n hw good is the stuffed pepper....loved de filling. U hv quiet a spread here...n wit cool pics..tis pepper one just bowled me..want to mk one rite now. Tagged u will be bk. BTW a cook n a die hard food fan fm down under.